A good way to begin a peaceful week is to take advantage of a US holiday on Monday, and explore our surroundings… while the kids are happily spending quality time at the local school! 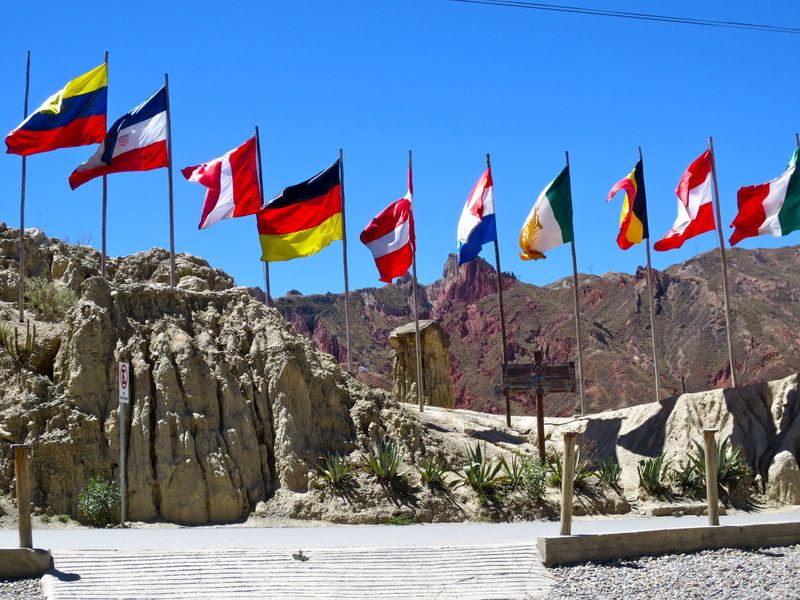 The next step is sharing images from our recent visit to the Valle de La Luna, in the municipality of Mallasa, a town 20-30 minutes from the city of La Paz, is a place of family entertainment with a pleasant climate, nature and tourist attractions. 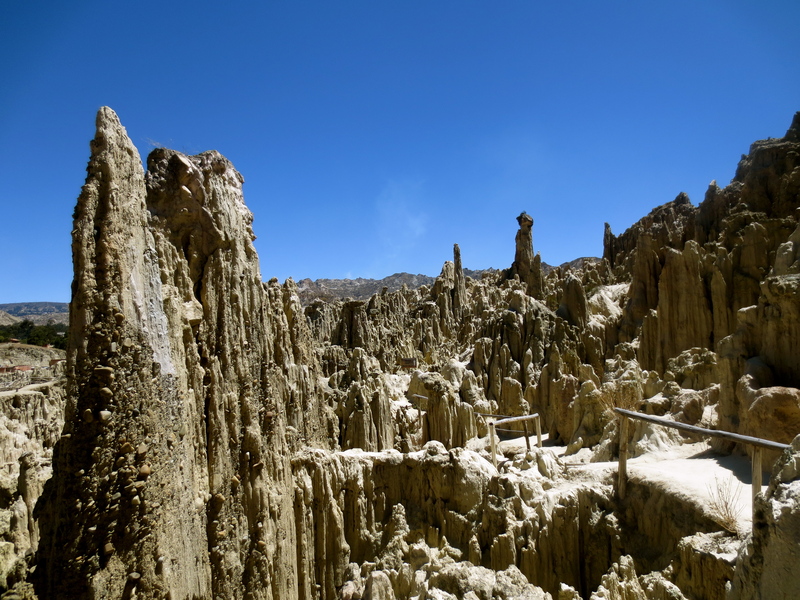 The land formations that resemble the lunar soil, where erosion over the years has formed a group of astonishing rock formations, which give the visitor the sensation of having discovered an unknown world. Truly an almost real lunar landscape. 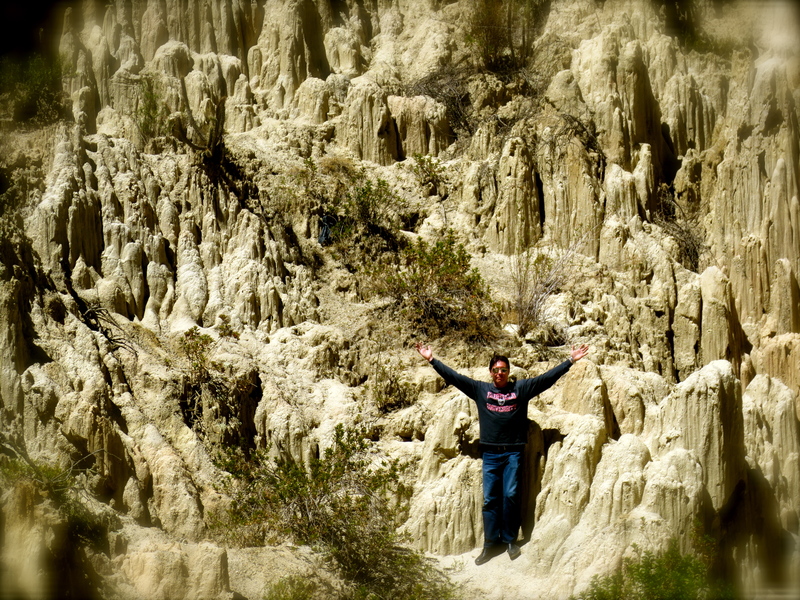 Hard to decide which geological formations caused by soil erosion is the best shot… still trimming down the photo gallery! The earth peaks and crevices creates a surreal landscape that lends itself wonderfully to unique and intriguing pictures. 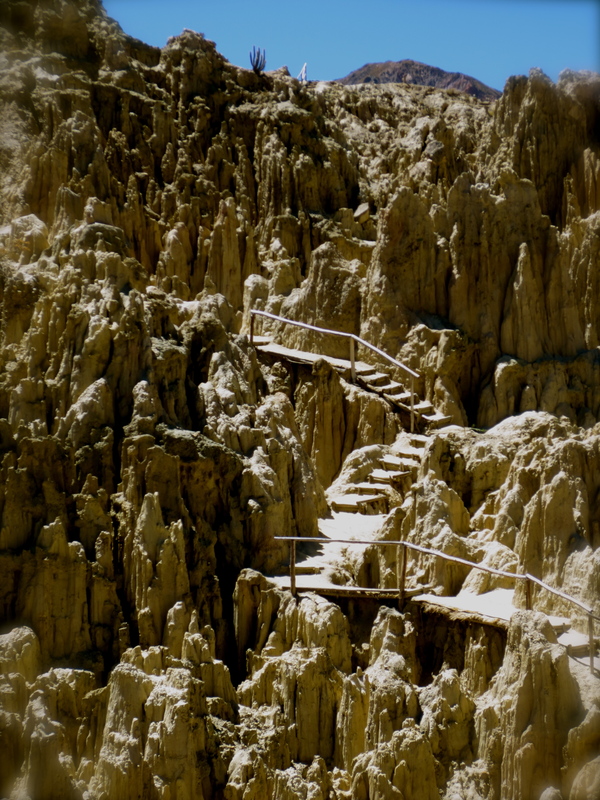 Like many mountains surrounding the La Paz area of Bolivia, the gutting formations contain rich variations of mineral content, creating colorful composition throughout the drastic landscape. 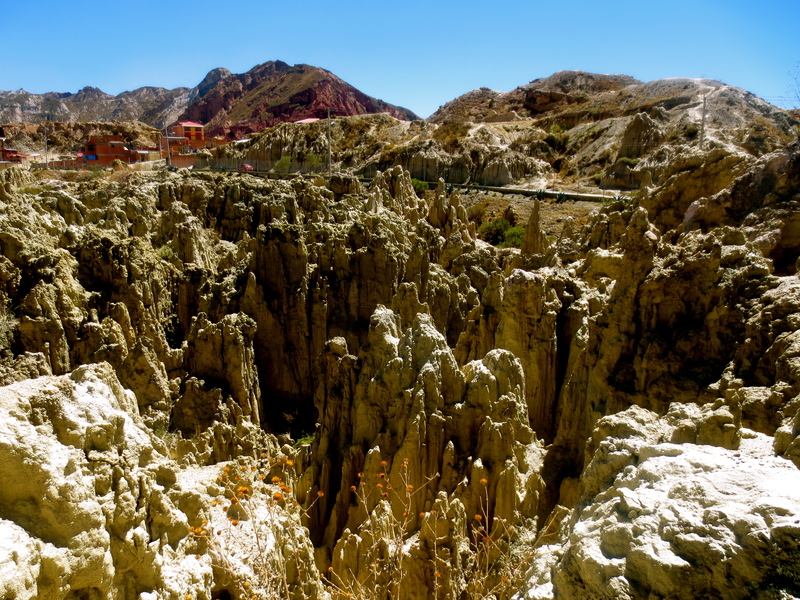 The Valley of the Moon is located about 10 km southwest from La Paz, near the small town of Mallasa, and while a portion of the valley has been preserved, housing is steadily popping up on the unstable soil. While trails are provided and clearly marked for explorers, they are narrow and a bit treacherous, come prepared for sharp edges and uneven paths. There isn’t much in the way of wildlife to see, other than some cacti and a few small flowering plants. 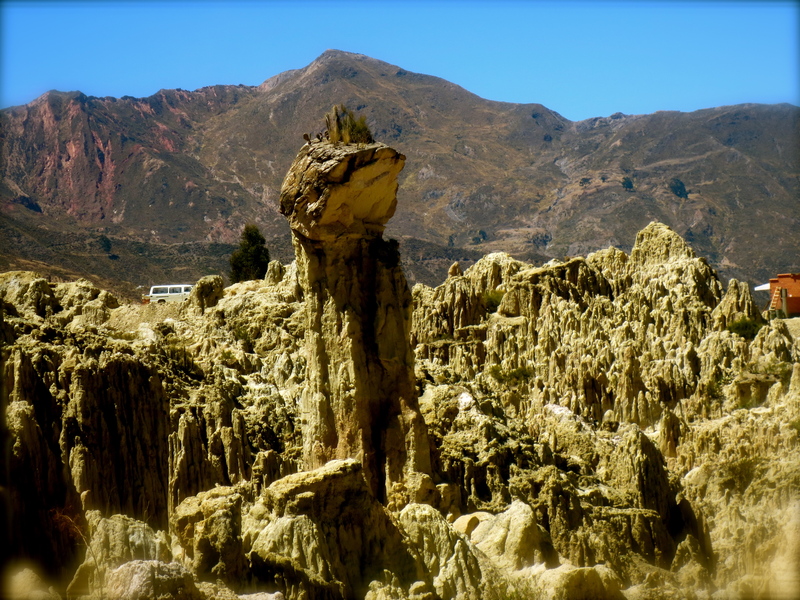 Locals have named some of the rock formations after shapes they believe to symbolize: La Madre Luna (mother moon), El Sombrero de la Dama (lady’s hat), to mention a few examples. 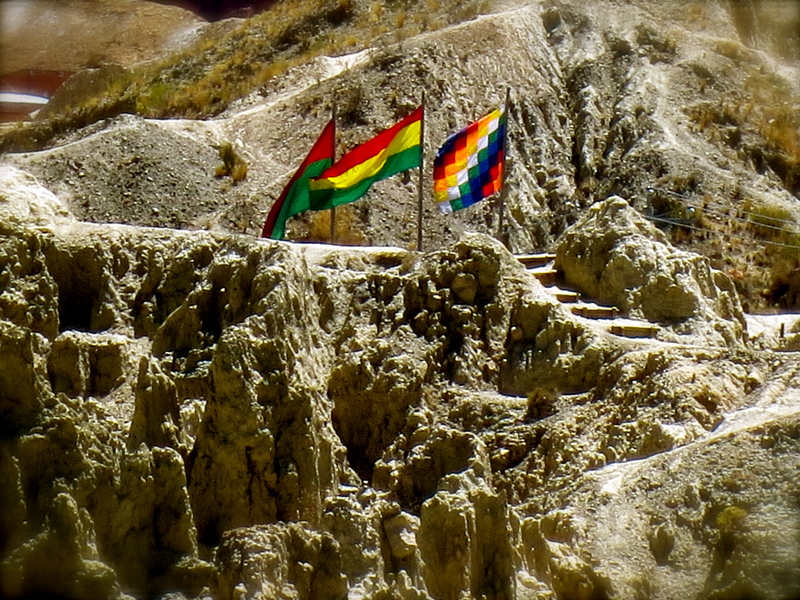 Photo Project: 52 Bolivian Sundays [week 9, ‘Lost in the Details’]. Continuing with my very personal Photo Project throughout this year, titled 52 Bolivian Sundays, sharing images that represent this beautiful country, its traditions, cultural events and neat places/things to do. For this week, pairing with the Daily Post inspiration, “Lost in the Details”, brings images from our recent visit to Mallasa, and a day very well spent with friends from La Paz and from Washington, DC, at the Oberland Hotel Complex, a taste of Switzerland in Bolivia. 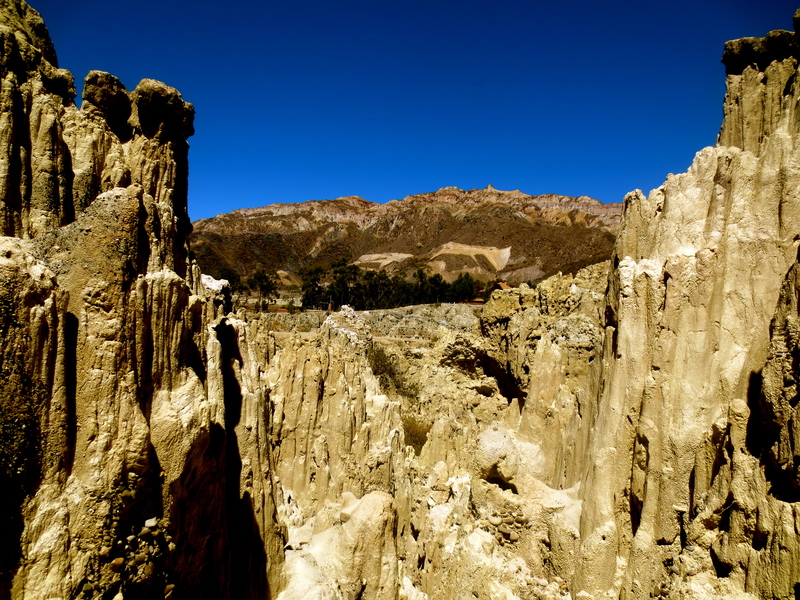 In order to get there, one of the requirements is to appreciate the fascinating mountains from the Valle de La Luna [The Moon Valley]… The mineral content of the mountains varies greatly between individual rock formations. As a result, the sides of the mountains are different colors, creating very striking optical illusions. A majority of them are a clear beige or light brown color. There are also areas that are almost red, with sections of dark violet. 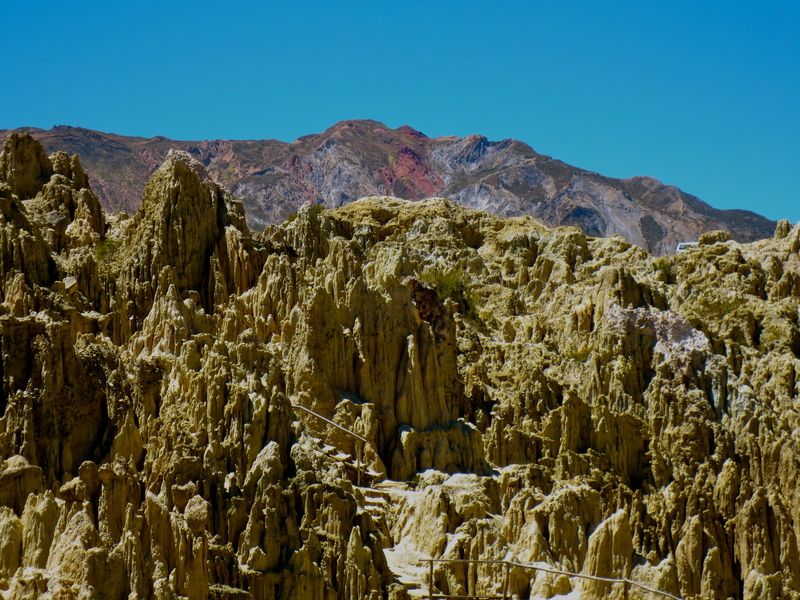 Above, details from the drive up to the Hotel Complex, through the Valle de La Luna mountains. 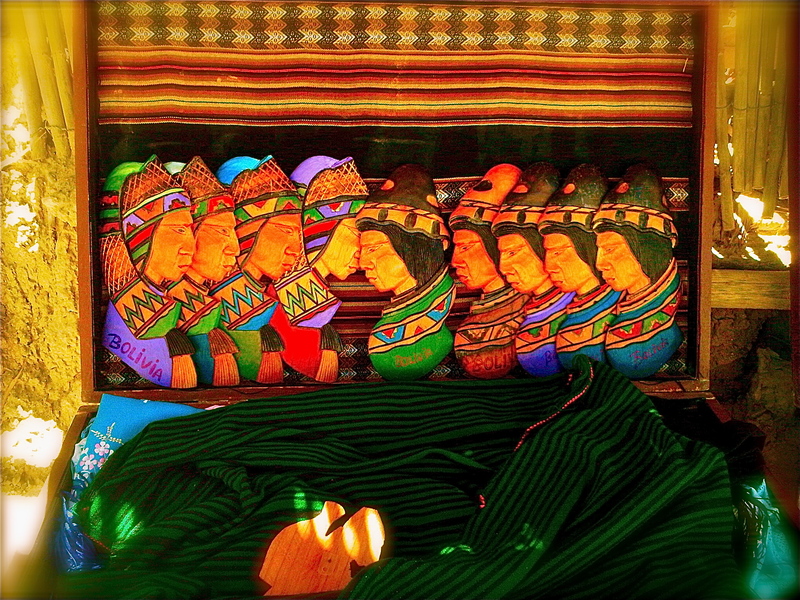 Continuing with my very personal Photo Project throughout this year, called 52 Bolivian Sundays, sharing images that represent this beautiful country, its traditions, cultural events and neat places/things to do. For this week, pairing with the Daily Post inspiration, “Lost in the Details“, brings images from our recent visit to Mallasa, and a day very well spent with friends from La Paz and from Washington, DC, at the Oberland Hotel Complex, a taste of Switzerland in Bolivia. 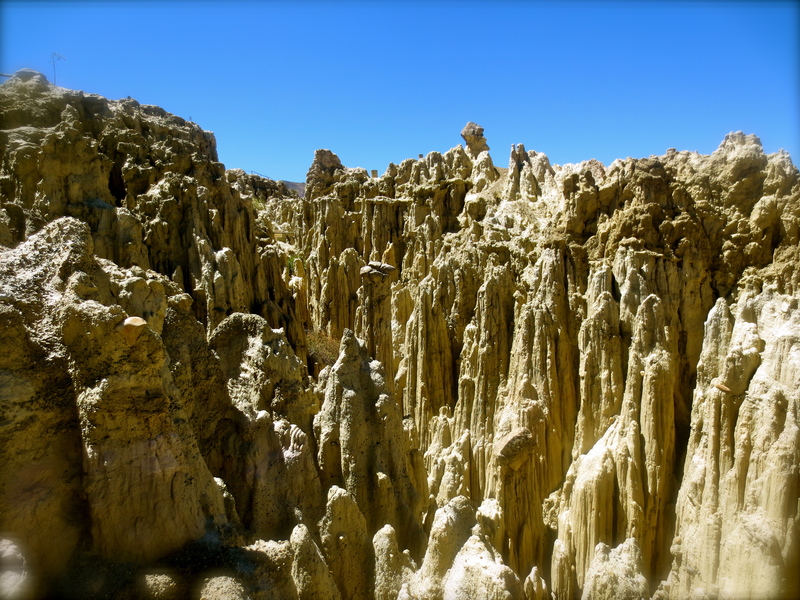 In order to get there, one of the requirements is to appreciate the fascinating mountains from the Valle de La Luna [The Moon Valley]… The mineral content of the mountains varies greatly between individual rock formations. As a result, the sides of the mountains are different colors, creating very striking optical illusions. A majority of them are a clear beige or light brown color. There are also areas that are almost red, with sections of dark violet. Author 3rdCultureChildrenPosted on March 3, 2013 March 11, 2013 Categories BOLIVIA, photography, sportsTags 52 Bolivian Sundays, Hotel Oberland, La Paz, Lost in the Details, Moon Valley, Photo Project, postaday, postaweek, Valle de La Luna, weekly photo challenge26 Comments on Photo Project: 52 Bolivian Sundays [week 9, ‘Lost in the Details’].